They aren't the only ones in the defense spending game. Today is one of the major dates in the US defense policy calendar: The day that the Pentagon proposes its budget for the next fiscal year. Daily Beast executive editor and long-time national security journalist Noah Shactman tweeted that Pentagon budget day is "his Christmas." 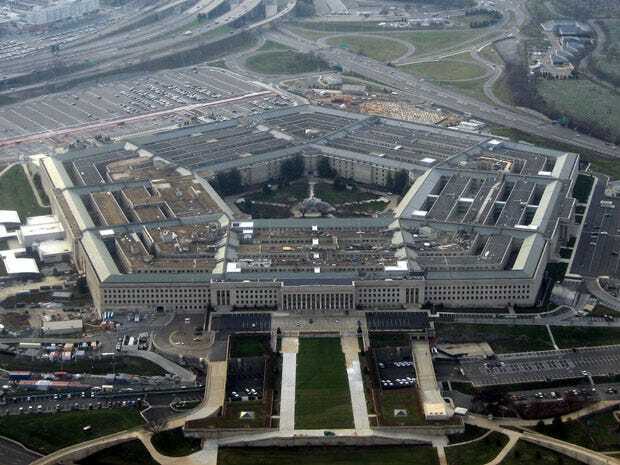 The Fiscal Year 2016 Pentagon budget request tops out at $534 billion, a slight increase over last year's. It's also a few billion dollars beyond what the Pentagon is allowed to spend under budget sequestration, which either assumes a budget deal that lifts the spending caps or triggers a Congressional showdown over exceeding those caps. But it would be a mistake to think that this number represents the entirety of the US's defense budget. The $534 billion number might not even come close. Here's part of what isn't included in today's Pentagon base budget request. War. The Overseas Contingency Operations Fund is not part of the Pentagon's base budget. This is the budget item that pays for US military operations overseas. It is not subject to spending limits imposed under sequestration and is considered separately from the Department of Defense's budget request which covers hardware procurement, personnel, facilities maintenance, research and development, and other operational costs. But it doesn't cover war itself. That'll be a $50.9 billion tab this year — down from around $80 billion in 2014. This decrease is largely due to the end of the US operation in Afghanistan. But even with the drop, the Contingency Operations Fund is considered less accountable than the base budget and some have likened it to a "slush fund" (albeit hyperbolically considering that Congress must still vote to appropriate this funding). Not fully in the Pentagon budget. Nuclear stuff. While the Department of Defense is responsible for delivering nuclear weapons to their intended targets, stockpile management largely falls under the Department of Energy's portfolio. Defense-related nuclear waste disposal, sea-borne military nuclear reactors, aspects of stockpile security, and various less-defined "weapons activities" and "defense activities" are all included in Energy's budget. The total tab came out to $17.8 billion for fiscal year 2015. The US is also in the midst of a nuclear modernization push that critics claim will cost around $1 trillion over the next 3 decades. The Department of Veterans Affairs. The VA is a cabinet level office separate from the Pentagon. But the VA still provides healthcare and other benefits to the people charged with implementing the Pentagon's policies: the US's men and women in uniform. The VA isn't a part of the Department of Defense budget or even a part of the Defense Department. But it's still a part of the overall cost of maintaining a a strong and high-functioning military, especially since the US depends on an all-volunteer force whose members may choose a military career partly because of quality of benefits the VA provides. And it's the VA that pays the long-term healthcare costs of servicemembers injured in the line of duty. The VA's budget was $163.9 billion in 2015. There's state-level military spending, too. Here's the New Jersey Guard in action during a nuclear and biological readiness drill. State military departments. State national guards are the US's homeland line of defense, but they also provided the manpower the US needed to wage two simultaneous wars in Iraq and Afghanistan over the past decade. If a major conflict broke out overseas, state national guards would provide an essential backstop to the US's standing military. The federal government does not take on the entirety of the funding burden for state-related military infrastructure. To get an idea of what the states pay for out of pocket check out the detailed 2015 funding request for Texas's state military department. It asked for around $78 million to pay for things like facilities maintenance, disaster training, and mental health programs. Maryland's military department also clocked in at around $74.5 million for 2015. Accounting tricks. As Mark Thompson noted at Time, spending on hardware depends on per-unit acquisition costs that can end up having only a passing relationship with reality. A per-unit cost assumes that a certain number of planes or vehicles will eventually be built and procured, which assumes economies of scale and production efficiencies that only come with a certain-sized order. Expected unit prices aren't updated for inflation even though they're repeated as gospel by policymakers and defense officials. And the per-unit prices don't include research and development or future maintenance. Thompson uses the Long-Range Strike Bomber as his specific example. The Pentagon budget allocated $1.5 billion for the plane for FY2016. But the program is authorized based on a 2010 estimate that the plane will cost American taxpayers $550 million per unit. As Thompson explains, that just isn't a reasonable or intellectually honest estimate of what each aircraft will probably eventually cost. This means the $1.5 billion allocated for FY2016 ensures some as-yet unknowable and possibly astronomical future price tag. The now infamous and less speculative example of this kind of spending end-around is the F-35. The plane's per-unit cost is $85 million a plane, according to the aircraft's producer. But between fabrication, research and development, and expected maintenance costs, the program's full price-tag closer to $1 trillion. The US plans to buy 1,763 of the planes by 2037, a per-unit cost of over half a billion dollars each. There's other defense-related spending that isn't reflected in the Pentagon's base budget as well. The State Department handles certain aspects of the US's foreign military assistance spending. Various tax breaks for companies with Pentagon contracts could also be considered a part of overall US defense spending as well. The US's defense apparatus is large and complicated, and the Pentagon's $535 billion base budget request doesn't come close to covering its actual cost.